Cinygmula ramaleyi is widely distributed in the West. This species appears to be common in interior Alaska, where it emerges during the latter half of the summer. Fishable hatches and selective grayling are possible on a couple of cold, productive spring creeks in the area. 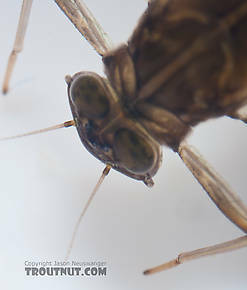 Emergence in interior Alaska differs from that described for other locales; I have observed them emerging on a spring creek beginning in July and extending through September. It seems to pick up as the larger Drunella doddsii hatch tapers off, both in terms of season and time of day. 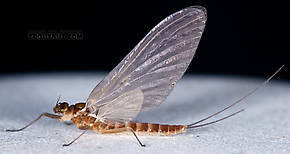 Although they are reported as a late morning hatch in angling literature, I have most often observed them in the afternoon or early evening in Alaska. The duns emerge in classic sailboat fashion and take some time to get off the water. 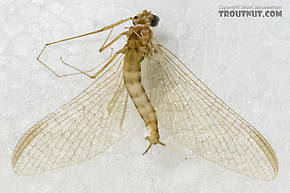 In Mayflies, the Angler, and the Trout, Fred Arbona reports that his stomach samples showed trout feeding heavily on these nymphs during non-hatch periods.